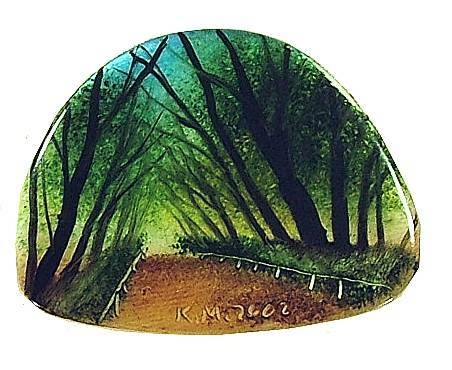 This brooch is hand painted by a Russian artist on an iridescent piece of mother-of-pearl. Several layers of lacquer are applied to each one giving them a glossy shine. The result is a strikingly beautiful and unique piece of jewelry.